What makes us, us? This might sound like a childish question, but I’ve been thinking about it a lot lately, and I believe it’s not childish or simple at all. What key thoughts and abilities distinguish us? Are we still the same people when those fade? Are we still essentially ourselves when old age sets in and simple tasks confound us, when we can no longer follow conversations, when we begin to forget the past, lose track of our experiences and even no longer recognize people we once loved? 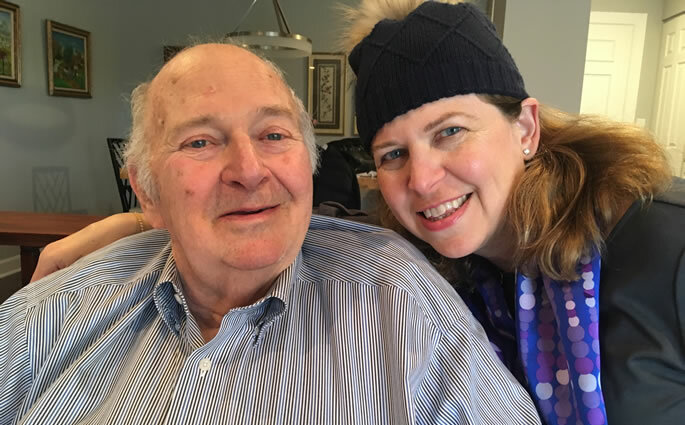 For the past few years, I’ve had a front-row There are some aspects he’s not going to lose seat in what has felt at times like a horror show: watching as my beloved father battles a range of health challenges, including dementia and memory loss. A former mathematical whiz, I’ve cried as I’ve seen him struggle with numbers. One of the first people to learn about computers in the 1970s and 1980s, he’s broken my heart recently by not recognizing the difference between his telephone and his television remote control. He was once a high-flying businessman with a corner office and now, well, I won’t go on. It’s too painful chronicling his tragic decline as he loses ever more, ever faster, every day. Yet there are some aspects, I realize now, that he’s not going to lose. While my dad was busy learning about technology and current events, and keeping up with the latest in tax law and the financial industry, he was also improving himself in another crucial way. And while so much of the information and knowledge that my father worked hard to acquire has now turned to dust, those other lessons he worked on daily have endured, growing stronger with time. These are sayings that my dad used to utter, often, reflecting but also shaping the way he views the world. For instance, he would often tell me that we all reap what we sow; it was one of his favorite phrases. He’d explain to me that although he’d grown up in a secular Jewish home with little formal Jewish education, as a child he owned a record of Jewish sayings and maxims which taught him that. Later on, I recognized the sentiment from the Torah’s book of Proverbs, written by none other than King Solomon, whom Jewish tradition notes was the wisest man who ever lived: “He who sows injustice will reap violence, and the rod of his wrath will fail. He who has a generous eye will be blessed, for he gave of his bread to the poor” (Proverbs 22:8-9). That was a sentiment that my father used to repeat often, gradually letting it sink deep into his core, shaping the way he looked at the world. When things didn’t go well, instead of getting upset my dad would often shrug, smile and say “but that’s OK,” reminding us all to look on the bright side. He repeated it so many times that it, too, became a vital, deep part of him, profoundly shaping how he lived. Another maxim my dad often repeated was that “one day, people will look back and remember how you treated them now.” There were so many times when my father went far above and beyond what was expected, reaching out to help others even when it was difficult to do so. I remember once when my grandmother broke her leg, my father wouldn’t hear of letting her stay in a rehab facility while it healed. Instead, she moved in with us for a month, and my father carried her everywhere: up and down the stairs for meals and from room to room. He could have let her struggle with crutches or hired a caregiver, but he was devoted to his mother-in-law. “One day, she’ll look back and remember how I treated her now” he confided in me. He didn’t mean it in a calculating way; he simply recognized that so often, we have only one chance to do the right thing. My father understood that and didn’t want to waste his opportunities to reach out and help others. One final phrase my father used to say was his own unique creation: “P&H,” he’d whisper to me whenever I fought with my mom or brother. It stood for “Peace and Harmony,” and he used to remind me not to lose sight of the big picture. 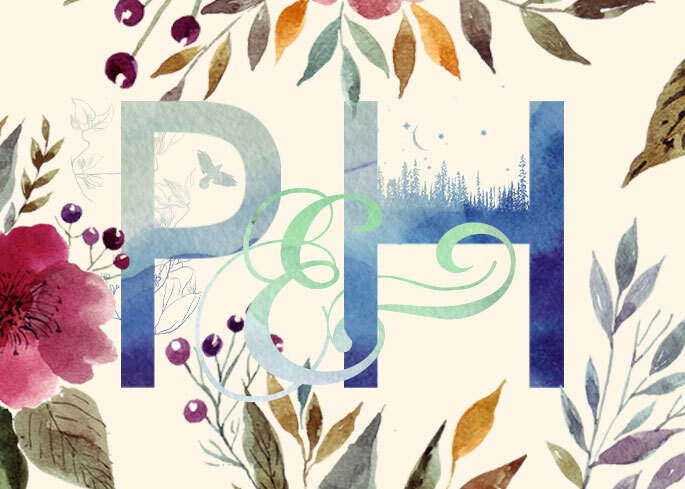 Most fights aren’t worth it, Dad explained; so often, we lose sight of what’s really important in our families, and that’s “P&H.” In fact, I remember countless times when I was a teenager arguing with my mom, my dad would stand behind her, mouthing “P&H” at me with a smile. Usually, I’d crack up and forget whatever it was we were arguing over. It was hard to deny; he had a point. Peace and harmony were a lot more pleasant than picking a fight, especially when I could giggle about our secret code with my father afterwards. Now that he’s facing many health problems, so So much of what seemed to make my dad unique is gone much of what seemed to make my dad unique is gone. He can’t do his signature magic tricks to entertain his grandkids any more. He no longer plays the piano or sings corny songs. But those phrases—and the attitudes they shaped—remain. When I’m with my father these days, I feel like I hardly recognize him anymore ... and then he or I will say one of his pet phrases, and we’ll share a smile. Peace and harmony. We reap what we sow. One day, people will look back and remember how we treated them now. The phrase that he uses most is perhaps the one that shaped his outlook to the greatest extent. Dementia is a relentless adversary. It’s terrible to watch as it ravages my father. Yet with each new indignity, with each new handicap, he’ll shrug and repeat the words that spring first to his mind, put there by a lifetime of repeating. “But that’s OK,” he’ll say with a gentle smile. Things are difficult, but after a life of training himself to look at the positive, a smiling “that’s OK” is how he copes. What is left after illness and dementia have wiped so much of us away? These past few years, watching my dad, I think I know: what’s left is what we trained ourselves to feel and see. What’s left are the attitudes and phrases that we learned and practiced when we could. What’s left is the way we taught ourselves to look at the world.